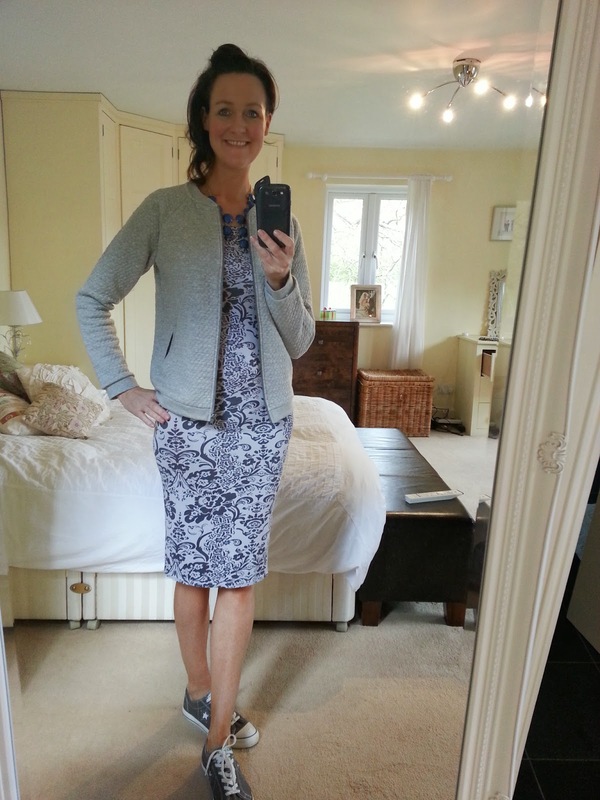 Yesterday we (that's myself and 5 other gorgeous 40+ fashion bloggers) bought you 1 jacket in two colours and styled in 6 different ways on 6 women. 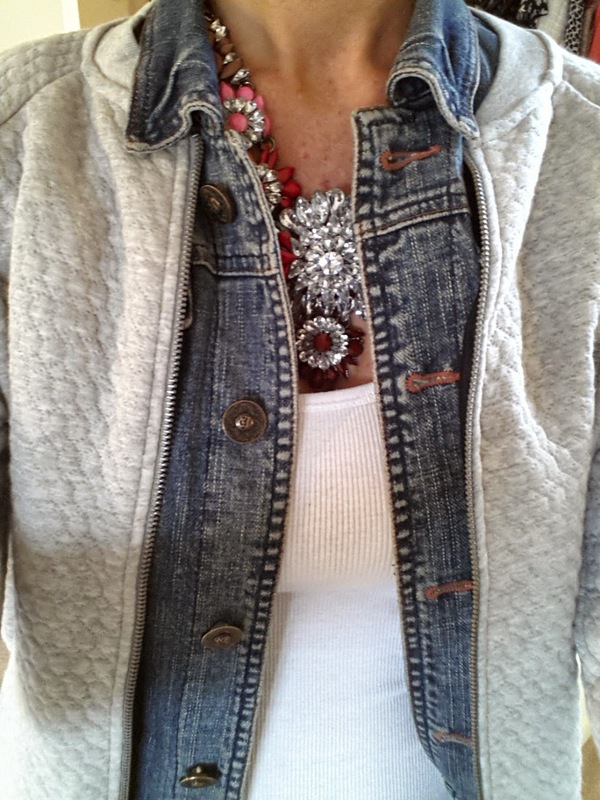 Today I have styled the Next bomber jacket in a few different ways. I have to say I could probably add another 15 looks but time is short today as I have my children and 2 others to watch and they're screaming at me to go to the park. Which is your favourite? I'm finding it hard to call because I think it actually goes with EVERYTHING! First up, stealing the layering look that Frances used for our styling shoot - LOVE LOVE LOVE IT even if I do say so myself! This was so easy to put together and wear and I cannot wait to wear this combo for real. Jeans - Zara (at least 10 years ago)! This is a bit FULL ON but I really like it! I am 'in your face' red and confident here (well confident in the confines of my bedroom)! Not sure I have real confidence to wear this out. 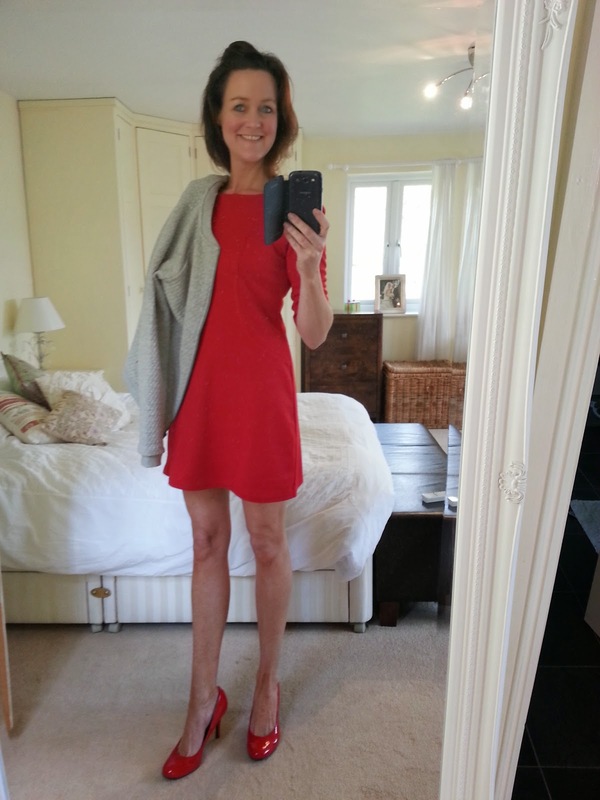 The dress is short, the legs are white and the heels are high! I forgot just how much I loved this Me+Em dress (they have it in black for this year). 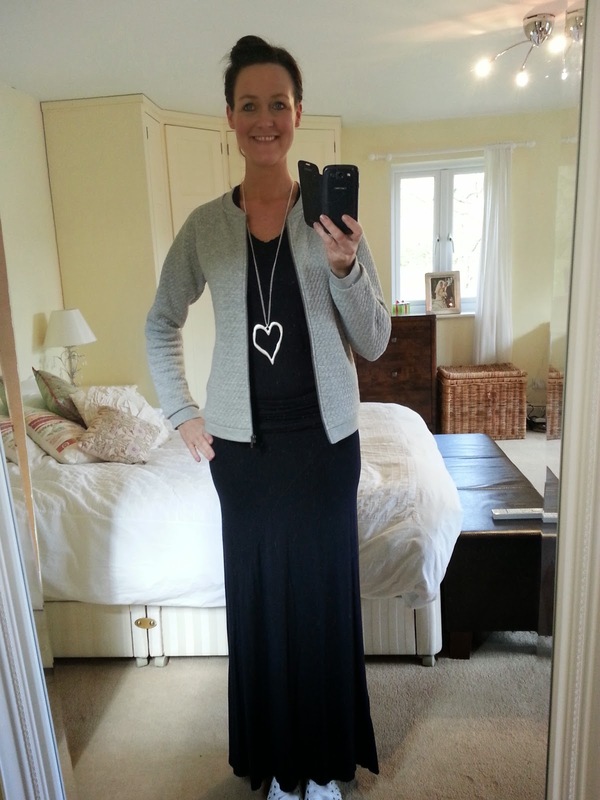 I was inspired by Michelle to wear the bomber jacket with a maxi dress. This is my least favourite. I love the dress (again Me+Em) but I don't like it with the trainers. If I wasn't so lazy I might have grabbed some other heels but it was the last change of the morning and I had 4 children screaming 'when is it lunch time'? 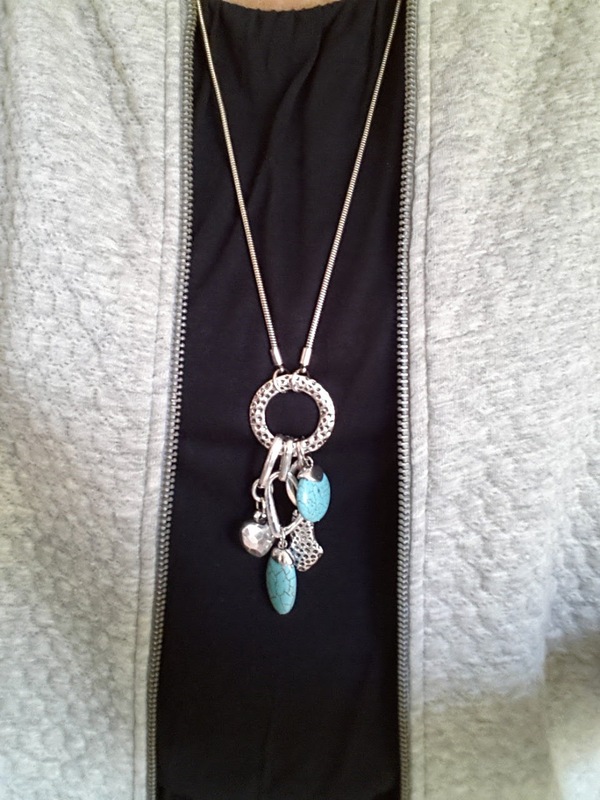 Love the turquoise necklace, again it's an Avenue 57 special and it's really versatile - I love it! 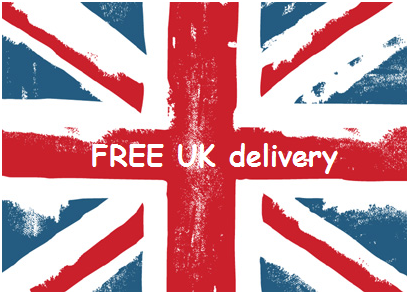 You can buy from here for £15. Totally not me on the hanger but I was pleasantly surprised with this one. A jumpsuit from my shop, a necklace from the shop and the jacket from Next. It felt like I had my pj's on and I kind of liked it! So do you believe me when I say this really is one of the most versatile jackets you would ever own! I didn't even start with the normal jeans, coloured jeans, patterned jeans ... I need a lie down. 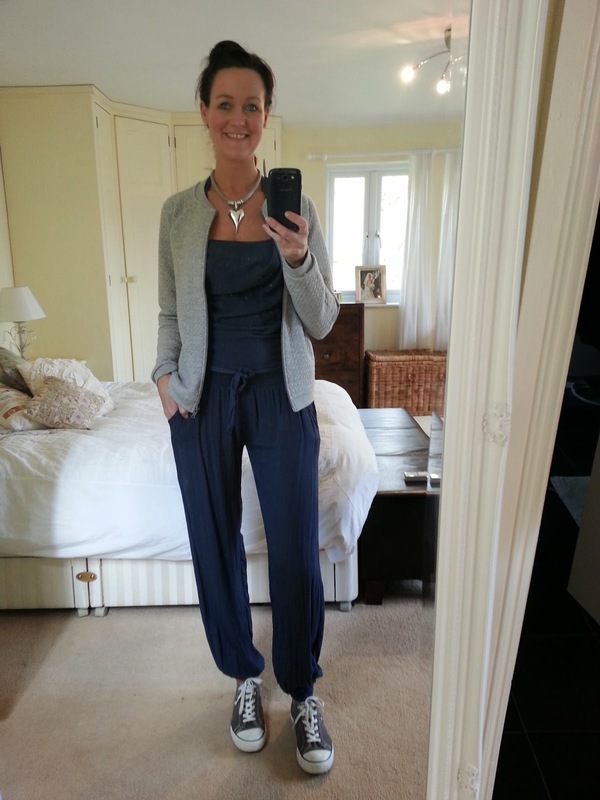 Hi Fiona, I'm rather liking the jumpsuit combo, also love the idea of denim jacket and next jacket. It certainly is a very versatile jacket. I'm not so keen on the trainers with it and would have put flip flops if I could find them! I think they're in the loft waiting to come out!! 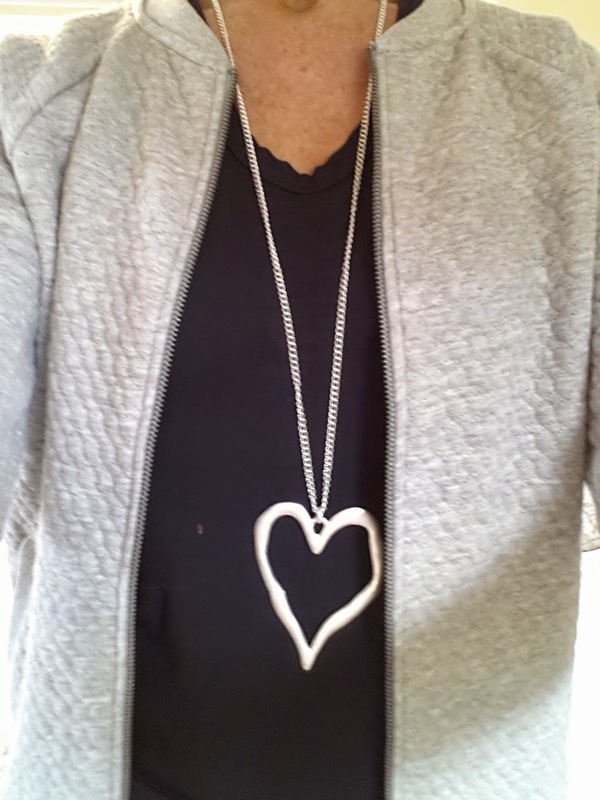 Love it teamed with your jumpsuit Fiona. Its a very versatile item, isn't it ! I prefer the Ax dress look best: I like the mix of light, bright colours, and I think the jacket and sneakers are a perfect foil for the dress. 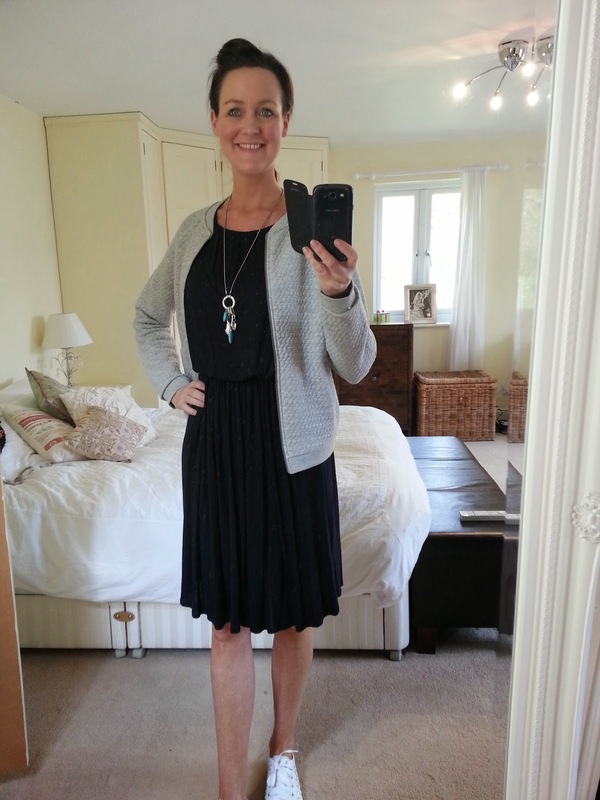 The dress is too dressy without the trainers, so I'll wear this combo again! I love the colour of it? For me, it definitely works best dressed down. Actually looks great on you with the jumpsuit and the breton top. And I LOVE the dress with the trainers, really really do (I'm not going to lie - I could leave the jacket off that outfit...) But I think the other two look amazing together! I will NEVER own a pair - EVER. Along with jelly shoes and bum bags! 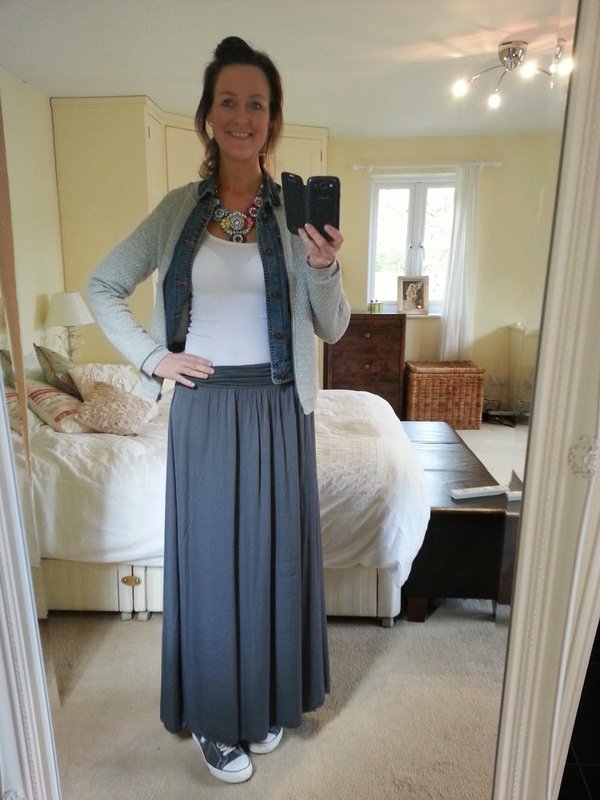 Love it with the maxi Fiona and I think it also works fab with the jumpsuit! I might actually try one with mine now for a casual style! It's such a useful jacket! my faves are with the jumpsuit - really unique look and love with the trainers - and also with the breton - such a classic combo. 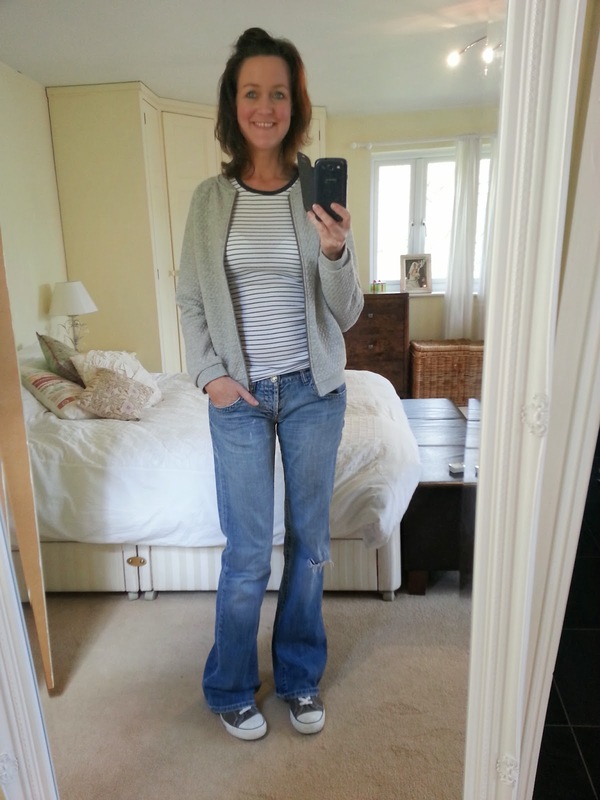 I've just discovered your blog & absolutely love it, very inspirational! I love the jumpsuit & the black maxi combo but I'm DEFINITELY ordering the jacket!